Knows the world of the employer and keeps us on track! Iko Kakes has 25 years of experience in vocational rehabilitation of people with a large distance from the labour market. After working in the public sector Iko started to work as a manager Special Projects for the Dutch location of Vattenfall, one of Europe’s of the largest producers of electricity and heat. He is responsible for all social innovation programs within the organisation. Since 2015 he combines his work for Nuon with being an independent consultant and trainer, working for Disworks and Cobri. Iko is curieus and has great passion for the target group he is working for. In the end it’s impact and results. Our philosopher, always looking one step further and creating the added value with the necessary amount of humour! 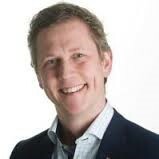 Ivo Kuijpers has over twenty years of experience as researcher, adviser and project leader in almost all fields of work and income. After his PhD, he worked on subjects as social security, labour market and labour relations. He knows the world of the public sector and the world of the social partners and he is experienced in how to deal with conflicting interests and goals. In recent years, he has done a lot of research into deploying people with a disability by organising collaborations between companies and sheltered workshops and municipalities. He also investigated public private partnerships in the green sector. Recently, he has investigated the possibilities of creating jobs for persons with a disability within the eight Dutch University Medical Centres. Ivo publishes regularly. He was editor of a Dutch Journal on Work & Income and he is one of the members of a think tank of prominent people in the world of municipalities, insurers and social partners. Sets up his creativity to get fresh ideas, is market orientation and knows what works! After his studies Raymond has worked as a trainer and consultant at a professional university. After that, he gained over fifteen years of experience in the training of lower educated persons with a disability. He has a lot of experience in the development and implementation of major integral projects with different disciplines and interventions for various target groups commissioned by municipalities, large companies and sectors. 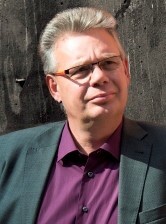 He was one of the founders of the Dutch Performance Ladder for Social Enterprising. Raymond is now co-owner of a training and advisory bureau that carries out employment projects commissioned by large companies and sectors. Has a degree in Business Administration and focuses on analyzing, designing and changing work organizations. Imre is always looking for the broader context in which a question arises. In previous commercial and advisory roles, he has sought the boundaries of organizations from an innate curiosity, combined with a strong analytical and communicative ability. For a number of years Imre puts all his efforts – driven by personal affinity – in the field of inclusive employment. Due to his knowledge and experience he has guided a number of organisations to become more inclusive. Among other things, this has led him to perform in a national pilot for Inclusive Job Design in the care sector.